Fed up of frantically thumbing through cookbooks while your goulash explodes? Or coating your keyboard in baked mac and cheese while looking up cooking times and measurements on Google? Fear not! There’s the Upside Down Apron that puts all of that useful info right at your fingertips. It needs a “Don’t Panic” along the top. The apron is designed by myself and produced by SuckUK. 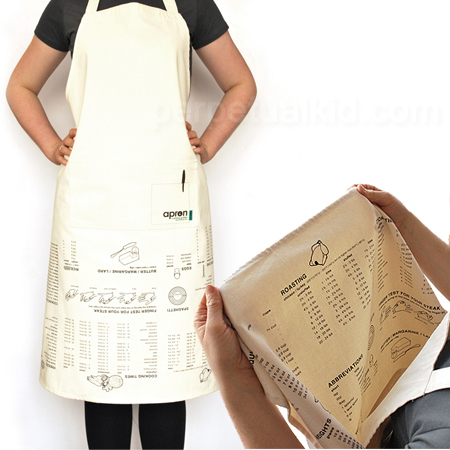 Great apron, my MacBook will be happy not to get dirty when I look up recipes while cooking. Thank you! Like this! An Italian recipe.